Help! My Mixes Don’t Translate! What’s the problem? It could be any number of things – your monitors, your room, your headphones…maybe even your recordings themselves. But let’s step away from talking about gear, and let’s focus on your ears. It’s no secret that mixing is a learning experience. It simply takes time. Every mix I do, I get a little bit better. I mix a little faster. I’m able to get the sounds I want more quickly. I know how to solve common problems. I pick up little tricks along the way. 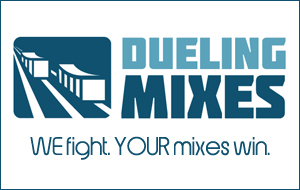 What’s one thing you can do right now to start improving your mixes? The answer? Start listening to professional mixes in your studio. This may seem like a stupid suggestion, but take a second to think about it. Where do you listen to music the most? When you get a new album, where do you go to listen to it? Your car? Your stereo? Your iPod? Ask yourself this question: of all the time you spend listening to music, what percentage of that time are you actually in your studio, listening on your studio monitors or studio headphones? This is really important. You’re spending hours trying to get your mixes to sound good, to translate to other systems, but do you really know what a good mix sounds like through your system? If you’re not spending a LOT of time listening to good, professional mixes in your studio, you’re mixes are in trouble. How can you expect to get pro mixes if you don’t have an intimate familiarity with how pro mixes sound in your studio? Pull out a dollar bill. Take a look at it. Could you tell if it was a fake? Chances are the answer is no. There are professionals out there who are experts at spotting counterfeit bills. How do they do it? Do they spend a lot of time studying counterfeits? Or do they spend a lot of time studying the real thing? Answer: They study the real thing. Once you know what the real thing looks like, you can easily spot a fake. You’re doing the same thing in your studio. You’re trying to pass your mix off as professional, but how will you know it’s professional if you don’t spend a lot of time getting to know what makes a mix professional? Check your email in your studio, and listen while you do it. Eat breakfast in your studio, and listen while you eat. When you buy a new album, set aside an hour to listen to it entirely in your studio before you go listening on earbuds or in your car. These are just a few suggestions. The point is, do what you can to train your ears to hear a pro mix, and to hear it in your studio. What are you going to do to make sure you spend time listening to pro mixes in your studio? Also…are you currently a Mix With Us member? If not, are you thinking about joining on Monday?